Please Read Through All the News Releases For the Lung Disease Foundation of Central PA in this section. 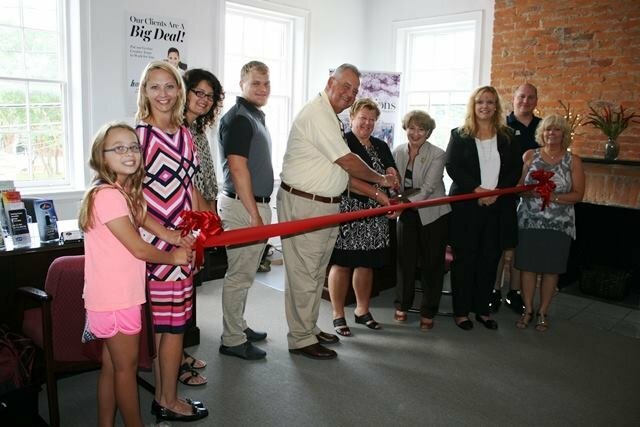 Bedford, PA: The Lung Disease Foundation of Central PA (LDF) has opened a second office in the Bedford County Chamber of Commerce’s Building at 203 South Juliana Street, Bedford, PA. Along with their additional office space, the LDF has access to the Chamber’s meeting rooms to hold their Freedom From Smoking and Adult Cessations Program. According to Sherri Stayer, Executive Director of the LDF, the free program is designed specifically for adults who want to quit smoking. “We have had great success with the classes in Blair County and look forward to working with the Bedford County community to increase the number of individuals who quit using tobacco products,” said Stayer. “We have hired staff who will be working with area businesses, organizations and individuals in achieving their smokefree goals including workplaces and housing units. Youth will also be a focus of this initiative through the TRU (Tobacco Resistance Unit) Program and TATU (Teens Against Tobacco Use) Program. “We will also be offering Tobacco Prevention Education to youth through schools, youth organizations, clubs, and religious groups,” shared Stayer. Freedom From Smoking Program is managed by the Pennsylvania Alliance Control Tobacco (PACT) and the American Lung Association in Pennsylvania. The Lung Disease Foundation of Central PA is designated the Tobacco Control Service Provider for Blair and Bedford Counties through the American Lung Association in Pennsylvania. For more information visit their website at https://lungdiseasefoundation.org/freedom-from-smoking/ or call Sherri Stayer at 814.946.2845 or email at sherris@altoonalungspecialists.com. Altoona, PA: The Lung Disease Foundation of Central PA Inc. is pleased to announce that in June of 2018 they awarded three grants to Blair County non-profit organizations who work with youth to form Tobacco Resistance Unit (TRU) Groups. This initiative was funded through a grant from the American Lung Association funded by the Pennsylvania Department of Health. The grant recipients include Joshua House granted $5,000, Blair Regional YMCA granted $4,000, and Family Services, Inc. granted $2,000. Each of the grant recipients will design and implement programs to fulfill the TRU mission with goals to include the formation of a TRU Group with a specific number of participants aligned with the amount of the grants awarded, planning a TRU event, and attendance at the Day at the Capitol next spring. Lisa Hann, of Family Services, Inc., in Altoona, PA, shared that they will be utilizing their grant to form a TRU Group at their Teen Center in Altoona with a minimum of 6 participants. “Our goal is to educate the kids and have them impact their families,” said Hann.” Lots of the kids are not smokers but have family members who are smokers. We’re hoping this will have a positive effect on the entire family.” To accomplish their goal, they will be assigning a student intern to help plan meetings hosted at the Teen Center where the kids will be engaged in learning about tobacco issues through games and give-a-ways. All three groups will participate in the 2019 “Day at the Capital” to be held in Harrisburg, PA. Each year, hundreds of TRU members from across Pennsylvania rally together at this event with adult lung health advocates to speak with their lawmakers about current tobacco control issues, such as Tobacco 21 (T21). TRU is managed by the Pennsylvania Alliance Control Tobacco (PACT) and the American Lung Association in Pennsylvania. The Lung Disease Foundation of Central PA is designated the Tobacco Control Service Provider for Blair and Bedford Counties through the American Lung Association in Pennsylvania. For more information on the TRU Grants and other tobacco control programs, call Sherri Stayer at 814.946.2845 or email at sherris@altoonalungspecialists.com. October of 2016 brought a new endeavor to the Lung Disease Foundation of Central Pennsylvania. The Foundation was named Tobacco Control Service Provider for Blair and Bedford Counties. PROGRAM – Tobacco Prevention Education. The TRU and TATU Programs are geared toward Youth, and we are also able to offer Tobacco Prevention Education to both Youth through schools, youth organizations, clubs, religious youth groups, etc. and Adults via Health Fairs, presentations to organizations and at employer sponsored events. PROMOTE QUITTING – Adults and Youth are also the focus of these initiatives, including the Freedom From Smoking and Adult Cessation Program, PA Free Quitline, FAX to Quit, and the N-O-T (Not on Tobacco) Teen Cessation Program. Many of these programs are free of charge and offer the tools necessary to assist in the effort to quit tobacco use. ELIMINATE EXPOSURE TO SECONDHAND SMOKE – Some of the initiatives and tools we are able to assist with include Young Lungs at Play (Play grounds and recreational areas); Worksite Policy (Creation or strengthening of policies for worksites); and Multi-Unit Housing (Creation or strengthening of policies for those who operate multi-unit housing). The Grant encourages communication with local legislators to educate them on these initiatives and advocate for tobacco-related initiatives and issues in our communities. There are also initiatives geared toward identifying and eliminating tobacco-related disparities. We are looking forward to undertaking these efforts and feel that this Grant is a perfect fit with the Mission and Vision of the Lung Disease Foundation of Central Pennsylvania. Please contact Sherri L. Stayer, Executive Director of the Lung Disease Foundation for more information on any of the above initiatives. Sherri can be reached at 814-946-2845 x 200 or sherris@altoonalungspecialists.com.